Labor isn't free. It was $14.99 shipped. I have more money into my 123GT and it sits in the barn not even making it's 115hp. Thanks for sharing such a fun build! A great part is that if a fuel pump fails to deliver enough fuel, or an oil filter collapses, or whatever and he vents the block, almost all of that gets reused, it's jsut another barely touched common as dirt (close) junkyard longblock that is needed. Not some long build with shiny $$$$ parts and long careful engine builds. Just fresh from the junkyard - take the heads off, swap the cam and valve springs, slap it back together, back to the races. This is exactly why I built my turbo LS 240. Love the build man and love seeing what can be done on the cheap. The engine is an unopened 6.0 that I bought with the transmission for $700. Add Cam, valve springs and a chinese 80mm turbo and the power is there. Where, IMO, it gets a little pricey is building the support to hold the power (torque converter/ trans etc). I would guess total for the entire car with the fuel system, wiring, ecu etc. I have somewhere around 8k in it. Now labor is a whole other subject! Both are nice vids of strong pulls. Bingo. The engines are dirt cheap... It is all the stuff hanging off them for conversions purposes that adds up. FWIW the most recent Engine Masters (aired on MTOD Wednesday) took a 5.3 through the paces NA stock, stock +boost, NA head&cam, and head&cam +boost. Interesting as always. My only beef is that they whore Holley crap all the time when not necessary... I know $ponsor$. it's all relative to what you consider real money, and how resourceful you are really. Great power! Really awesome sleeper! Good Job! Oh you have a LS swapped Volvo? That's wack, cheap and lazy. GTFO!!! Last edited by Rich Halsey; 11-16-2018 at 10:42 AM..
Don't even care to view that ****. There should be a place like the Performance & Modifications section for this trash. Where all you LS bois can go and play with real and reliable HP. Mogly, I'm failing to see why so butthurt on this topic. Don't like it... Click on the other redblock threads that are lacking HP. Yeah, the thread title clearly says 'LS'. Although with the title saying '901 hp' I guess it probably doesn't need to say that it's not a redblock anymore. I guess some Swedish guys make 900 HP from a 'redblock' shaped object, and sometimes more. But that's into NHRA-style territory with exotic fuels and $$$$$ engine builds that get rebuilt *frequently* Veeeeery expensive. Meanwhile, stock block unopened junkyard truck motor can be driven all the time, thrashed on with little care because another one is $$$ and a few days, not $$$$ or $$$$$ and a few months to replace. Not to mention, the engine still has lots of power off boost, 350 - 400-ish hp off boost is nothing to scoff at. much like the cries of other non hackers before you and future underachievers. Mine isn't a Chevy motor. It's from a Hummer. at least 33. it's on the internet, must be true. 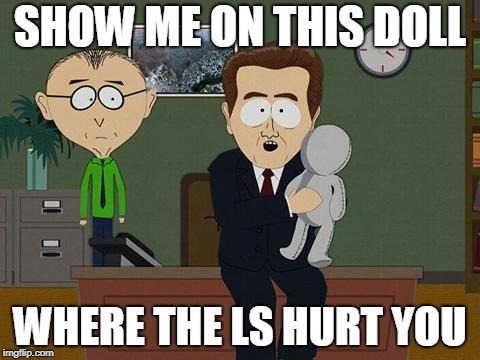 I'm not really sure why the hate on the LS... It is a very well regarded engine in the automotive world. He must be a red block hugger. While I myself want to build up a fiarly powerful red block. For lots more power for return on investment some type of powerful V8 swap is a good idea. That engine and trans is in some kind of parking lot. Ready to be loaded up in someones vehicle to take it all home. I too spent that much buying all the parts to buildup my powerful redblock. Might be kind of hot. Look how many years it took for the engineers in GM to finally get a aluminum small block V8 into mass production. Like 40+ plus years? It's no wonder that it is all the rage to install them in other cooler places like a Volvo. I'm ok with it but it's also not my path. I do like swaps. The swap that I have is a 67 MGB GT with a period Ford 289 and 4spd in it. I look forward to restoring it. It was built by a racing engineer about 30 years ago and needs to be completely gone over. But it's going to be the little cobra coupe when done. Fawk I just spent that much on my bottom end! !